Tecnicas Reunidas is engaged in the engineering & constructionof industrial plants such as refinery, petrochemical and oil and gas plants, thermal power, nuclear, hydroelectric power, solar, wind and biomass power installations. The Company is also involved in the construction and engineering of water treatment, controlled landfills and waste incineration installation. 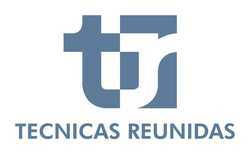 Tecnicas Reunidas made some big pre-recession increases to their dividend but since then have maintained it at about the same level. Analysts are expecting continued reliable payment but not big increases to the dividend in the near future.